The Blog Nathalia CFA - Deeply Appreciated. 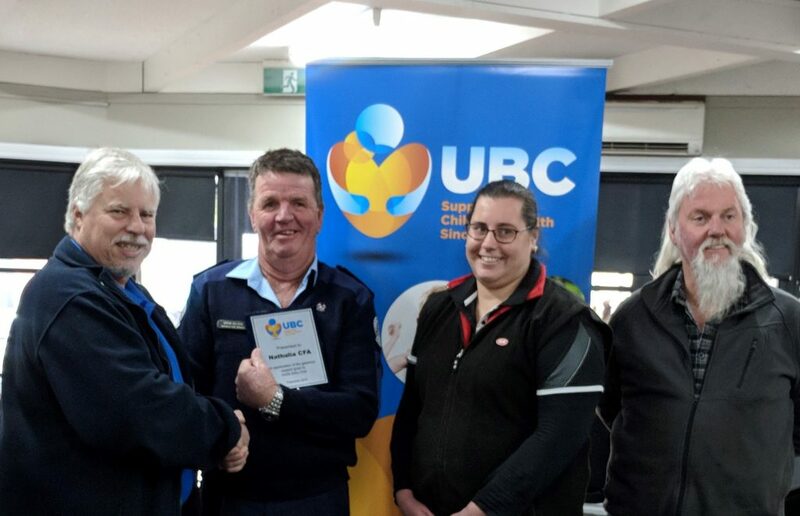 UBC State President, Paul Etherington was delighted to visit Nathalia to present a plaque of appreciation – along with Nathalia Branch President, Peter Mortimer and Secretary, Kylie Dohnt – to Nathalia CFA which was accepted by 4th Lieutenant, Brian Wilson. UBC appreciates all community support we receive. Nathalia CFA is always willing to support the local Branch especially on Good Friday. We thank you for all the support you have given over the years and look forward to continuing our strong community partnership for many more years to come.